Plant this card and grow chamomile tea! We are pleased to introduce our new line of Gourmet Café Greetings. Each tea themed card is embedded with chamomile seeds which can be planted. 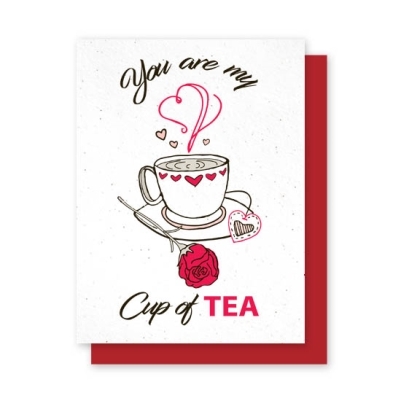 Available in various sentiments, the greetings are cleverly associated with tea. Guaranteed to impress beverage connoisseurs and everyone in your life! The growing instructions are planted on the back of each handcrafted card.